Mitt, Set our People Free is a serious – though sometimes humorous – insider’s expose on the LDS Church. Written by Michael D. Moody – whose genealogy traces back seven generations to the founding of Mormonism – the book is a scathing denunciation of what he now calls the Great American Cult. Like Mitt Romney, himself a highly-pedigreed member of the Mormon Church, ancestors of Mr. Moody also were part of the first generation of Mormons who, as followers of Joseph Smith, settled several eastern communities, and then helped Brigham Young spearhead the pioneer movement into the western States. 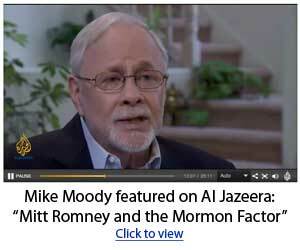 Mike Moody believes freeing the Mormon people is a higher calling for Mitt than continuing to pursue the U.S. Presidency. 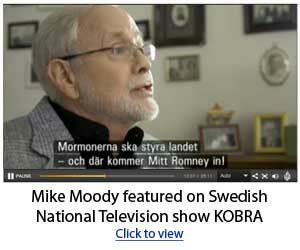 He respects Mitt enough to believe that only somebody of his stature – akin to a Thirteenth Mormon Apostle – can “begin the exodus of our people out of Joseph Smith’s wilderness of polytheism, polygamy, coveted levels of Heaven, Masonic-based temple rituals, and a simplistic Newtonian/Copernican universe.” In his memoir, Moody debunks as absurd the LDS Church’s claims that Joseph Smith talked to Jesus Christ, the Book of Mormon peoples are real, and polygamy is the eternal order of the universe. © 2008 - 2019 Mitt Set Our People Free All Rights Reserved.